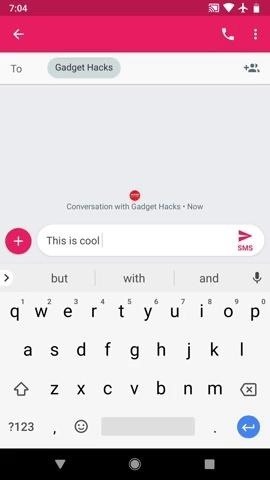 When you select any text on the latest version of Android, you'll still see the blue drag handles at either end of the selection as you normally would. 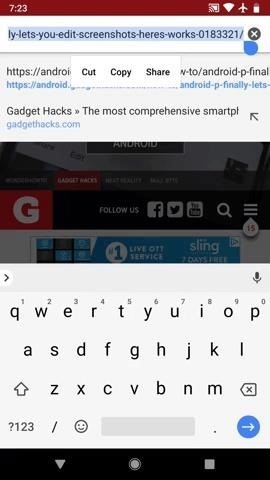 In fact, everything works exactly the same as it did on Android Oreo, but with one exception: While you're moving the little blue drag handles, the text underneath them will now be magnified iPhone-style. This makes it a lot easier to actually see what you're adjusting — as you move the handle, the magnified text follows the start (or end) position of your selection area. Once you've settled on a piece of text to highlight, the usual Cut/Copy/Paste menu will pop up and you can go from there. Unfortunately, this is only available in text input fields — in other words, you won't see the magnifying window when you're selecting text on a webpage or other areas where you can't type. Nonetheless, it's a step in the right direction, and it shows off what appears to be the central theme of Android Pie — polishing all the rough edges.